As the baby boomer generation continues to move into and towards retirement, there are several sectors that see their services in greater demand. Of course, the major sector will be healthcare, as people reach out for medical treatment and medicine. However, it's important not to forget about aged care services such as retirement villages, rest homes and care facilities. 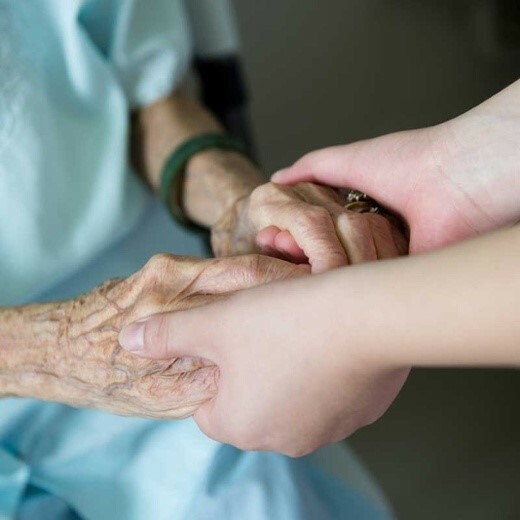 According to the Productivity Commission, more than 3.5 million Australians will use aged care services by 2050. Furthermore, the commission states that by the same year, the number of Australians aged over 85 will be 1.8 million (5.1 per cent of the population) – up from 400,000 in 2010. Looking after residents in aged care facilities is multifaceted. As well as accommodation, healthcare and activities, there is the small matter of providing nutritious and nourishing food. 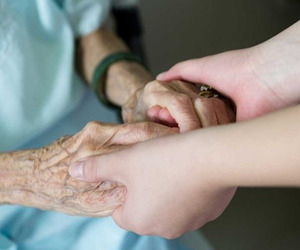 Certainly, one of the reasons why families move their relatives into aged care facilities is that they receive professional care that is better than if they were living at home. So, how can these services ensure their food is up to standard? The aged care residential services industry is growing, and this is reflected in the changing nature of different lifestyle accommodation options. For some people, independent living units and low-care facilities are sufficient, but for others, high-care and specialist care is best. Wherever people are on the spectrum of dependency, the focus should be on the patient experience and therefore hospitality plays an important role in this. Combine this fact with increased growth in government aged care and there is the opportunity to upgrade and create high quality food production services for residents. Anticipating this growth is one thing, but acting is another. Of course, one of the main questions will be to either have hospitality facilities off-site or in-house. This might come down to how much space is available. As demand for accommodation increases, the space allocated to kitchens is being reduced. However, with more people to cook for, kitchens in the future are expected to get bigger – possibly averaging 8000-9000 square metres. In some circumstances, though, it makes better financial sense to have an off-site production kitchen. In either situation, the product lines from both RATIONAL and FRIMA can together provide the ideal solution. Let us explain why. RATIONAL's range of combi ovens/ combi steamers and their flagship SelfCookingCenter are already well-known in both the commercial and private cooking sectors. As the undisputed world number one in combi ovens, RATIONAL products can be found across Australia, from high-end restaurants and production kitchens to healthcare facilities such as hospitals and rest homes. Combi ovens have been a revolution in the industry, allowing kitchen staff to cook up to 10 different dishes at once. Whether chefs want to steam, bake or roast, it can all be completed with the same piece of equipment for a perfect result guaranteed. It's technology that has changed the game, eliminated various costs and since combi ovens can clean themselves, saved time in the kitchen. However, for all the benefits of the RATIONAL brand, the aged care sector is getting bigger – meaning more multifunctional equipment is required to provide residents with a balanced diet. This is where the FRIMA brand can be of great value. In the years ahead, we foresee the aged care sector using a range of brands and equipment in the kitchen. It doesn't matter whether based off-site or in-house, it's going to be necessary for kitchen staff to deliver high-quality menus at high volumes. As such, it makes sense for combi ovens from RATIONAL to be paired with the advanced multifunctional equipment FRIMA offers. The brand offers a new type of cooking equipment that is perfect for bulk production and works well in combination with RATIONAL. The FRIMA range includes units which can fry, deep fry, braise, boil, pressure cook and more. Take the FRIMA – VCC112+F05 as a good example. The multifunctional commercial cooking appliance is a deep fryer, bratt pan, tilting kettle, stovetop and pressure cooker all in one unit. If that wasn't impressive enough, it can cook faster, save water, space and energy and is simple to use. This technology is reasonably new in the industry, but can be an important part of the aged care sector moving forward – together with RATIONAL. Over the coming years, aged care is going to be an ongoing topic for Australia. Now is the time to make sure the infrastructure is in place to provide residents with the level of care that they deserve. For more information about the FRIMA and RATIONAL brands, fill in the form or get in touch with the expert team at Comcater today.